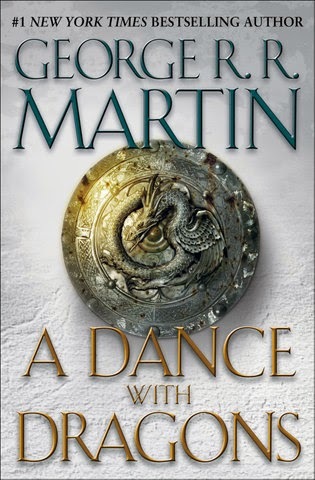 George R. R. Martin's A Dance With Dragons is up two positions, ending the week at number 1. Orson Scott Card's Ender's Game is down one position, ending the week at number 3. George R. R. Martin's A Game of Thrones is up one position, ending the week at number 9. Orson Scott Card's Ender's Game maintains its position at number 16 (trade paperback). Orson Scott Card's Speaker for the Dead is up three positions, ending the week at number 17. Stephen King's Joyland is up three positions, ending the week at number 18 (trade paperback). George R. R. Martin's A Feast for Crows maintains its position at number 22.